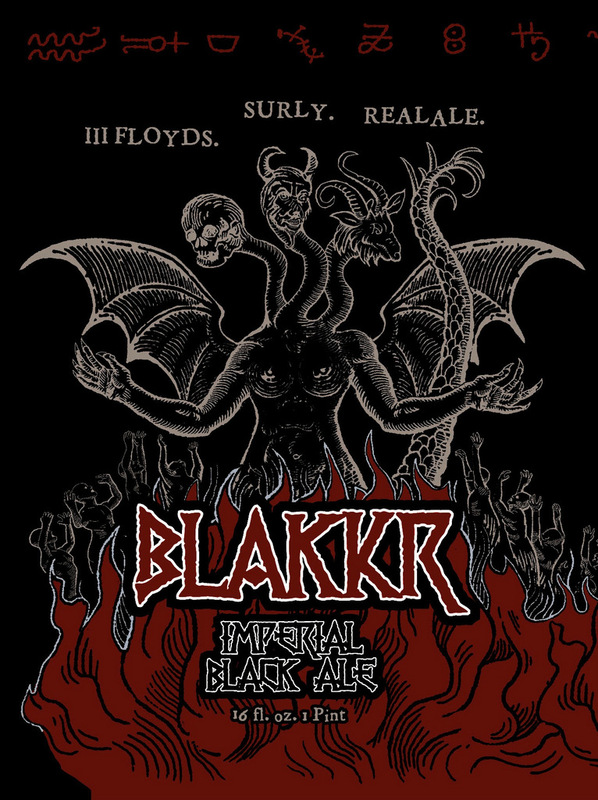 BLAAKR, an imperial black ale brewed in collaboration by metal brewing friends Three Floyds Brewing in Indiana, Real Ale Brewing in Texas, and Surly Brewing in Minnesota, will have a limited release in bars, restaurants and liquor stores in Minnesota starting Monday, February 24. BLAKKR (an old Norse word for ‘dark’ or ‘black’) was brewed at all three breweries, and will be distributed in all three breweries’ home markets. Real Ale’s BLAKKR will be available in four packs of 12oz cans, Three Floyds will be packaging the beer in bombers and Surly will be releasing BLAKKR in 16oz cans. Surly Brewing will host a BLAKKR release party will be held at Grumpy’s Downtown Minneapolis on Monday, February 24 at 6pm. 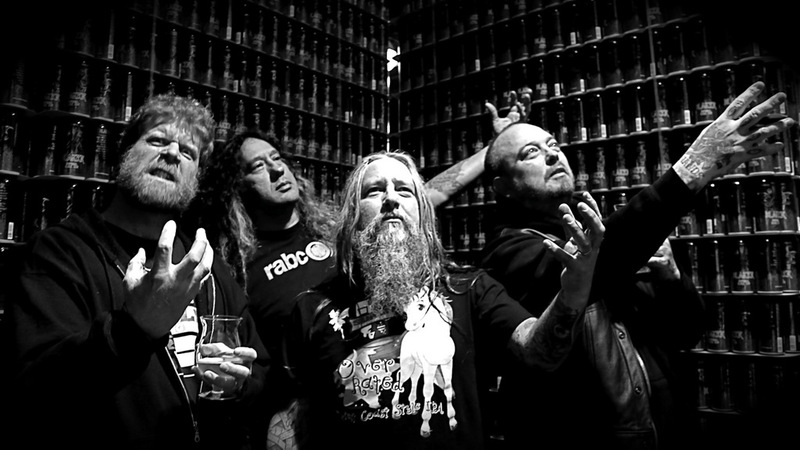 There’ll be BLAKKR on tap, as well as various other Surly specials on tap and live music. Surly always does a great job with the art surrounding their beer, BLAKKR is no different. Surly’s Michael Berglund, was inspired by Medieval engravings of monsters and chimeras. (I had to look up chimeras, too.) He said: “The idea came from having to please three metal brewers—a three headed beast.” He said the symbols are from Medieval alchemy, and are, in order from left to right: water, alcohol, eternal darkness, fermentation, fire, flavor, pint, grain, trinity, boil, union (collab), carbon dioxide, metal, and wizard. Berglund added: “It’s up to the viewer to decide if the souls in the fire are burning, worshiping, partying, or just asking for a beer.” See if you can spot Berglund’s initials in the artwork after you’ve poured that bad boy into a clean glass. Tony at Grumpy’s NE says they’ll have Blacker on tap this Friday! noooo..cans on sunday is the plan as far as i know.